Delightfully fresh and perfect for late summer nights, the Basil Rökkertini. 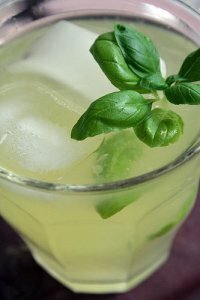 The fresh basil in the drink opens up the vodka beautifully. Muddle the ice and lime. Shake vigorously with other ingredients and pour.